Most non-profits know that great donor cultivation is the key to long-term donor relationships. When donors feel like part of your team, they want to donate, and they tend to give more, for a longer period of time. Great donor cultivation requires a good communication strategy, and lots of conversations with your donors. Those conversations need to be two-way discussions, not one-way lectures… meaning that as fundraisers, we need to get into the habit of asking questions and listening (really listening) to the answers our donors give us. Donors want to know that they are important to your organization, and feel like they have a real relationship with your team. These are easy questions. Softballs. The answers are uplifting, and reaffirm what we do at our organizations. Asking for advice is a good strategy. People (including donors) like to share their thoughts and expertise. Asking for advice is a great way to make your donors feel like part of your team. It’s relatively easy to ask for advice, though… it’s hardly a scary proposition. 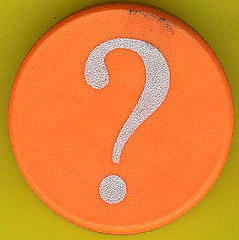 Which brings us to the question that most fundraisers never ask… the scary question… the one that makes you worry. Chances are that you have lots of opportunities every week to ask this question. Asking this question will take you outside of your comfort zone, because you can never quite be sure what the answer will be. You might find that the donor has some serious concerns about what you are doing. On the other hand, you might learn that the donor thinks your organization is doing the best job possible. Either way, the question is important to ask. Why? Because even though it forces you out of your comfort zone, asking this question forges stronger ties with your donor. It shows that you not only value their opinions and advice, but that you consider them such an important member of your team that you are willing to open yourself up to criticism from them, and seriously consider their concerns and thoughts. When you ask a donor what your organization could be doing better, you are putting them (temporarily) in a “leadership” role at your non-profit. You are showing them that you trust them. And you are strengthening the relationship such that your donors will be more passionate and loyal than ever before. Are you asking your donors, “What could we be doing better?” If not, start today.